2 to 4 dry red chilies. Cook the rice with salt. Cool slightly. Soak tamarind in water and extract its juice. Roast black gram (channa dal), Bengal gram (urad dal) and red chilies separately and coarsely grind them together. Heat oil, add asafetida, mustard, peppercorns, ground nuts, garlic and curry leaves. When mustard splutters, add the tamarind extract, powdered splices and salt, and cook till all water thickens. Mix the tamarind mixture thoroughly with the rice. 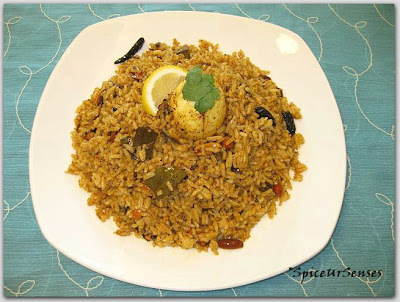 Serve with boiled Egg and Tamarind Chutney. 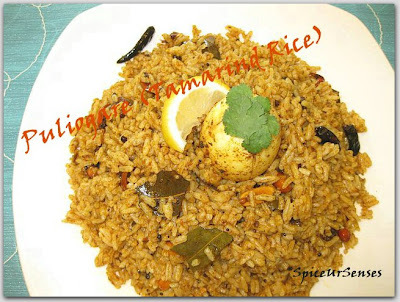 First time to ur blog..Tamarind rice looks delicious and tempting.. 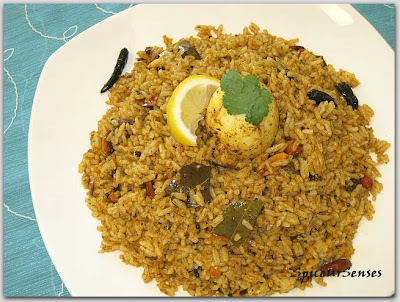 I was searching for some recipe in Google and came across your blog. I also live in Tokyo and am a huge fan of south Indian food. I am definitely going to try a few recipe fom your web site.